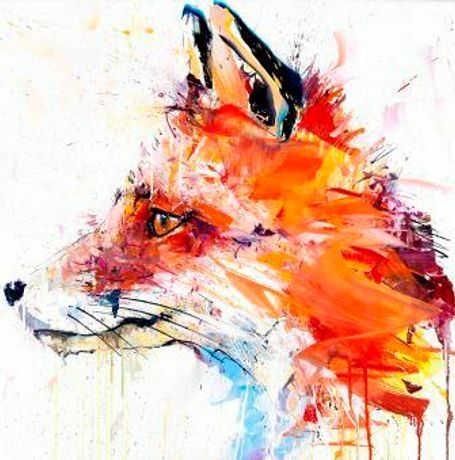 Loughran Gallery are proud to announce the launch of Albion on the 8th October, an exhibition featuring the debut release of contemporary artist Dave White's brand new collection. Following on from the success of Loughran Gallery's exhibition program and in succession to White's international projects, Albion will explore the heritage and iconography of native species to Britain in White's dynamic signature style. The show will be a large scale installation of oil paintings, works on paper, a collectors' box set, and limited edition silkscreen prints, exclusively unveiling White's next subject matter celebrating classic British wildlife. The show will run for the month of October, from 8th October until 25th October, to coincide with London's most exciting month in the art calendar. A highlight of Albion will include a classic Jaguar E-Type coupé uniquely hand-painted by the artist.